Ruslan was born at 31 weeks, and stayed in intensive care unit for ten days. 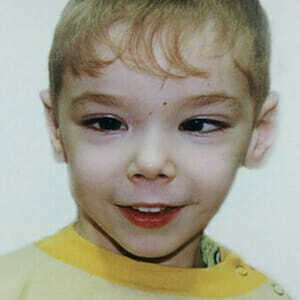 Later he was diagnosed with cerebral palsy, spastic tetraparesis, convergent strabismus. Ruslan is very positive and emotional: he expresses all his feelings via facial expressions and gestures. “Because of movement disorders, my son cannot walk and sit without assistance. We live on a disability pension and disability living allowance”. The family has to shoulder a heavy financial burden of paying for individual classes and medicaments. But it’s the only way to help the boy.